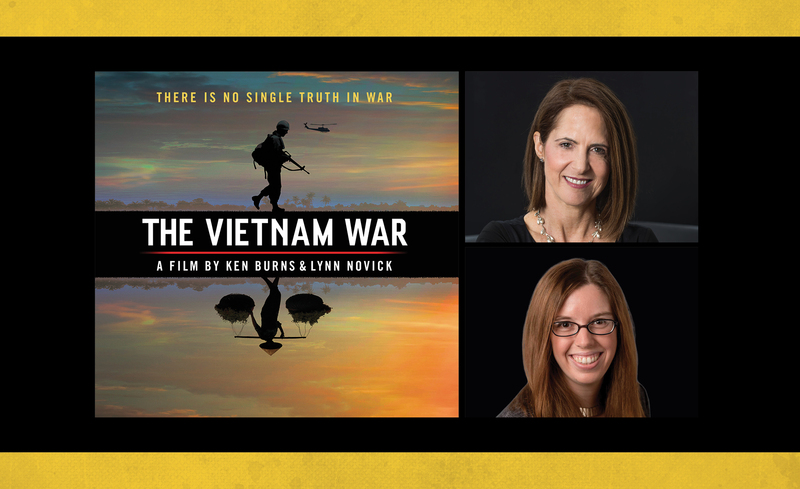 Join Emmy and Peabody-Award winning documentary filmmaker Lynn Novick and Alyssa Rosenberg, Opinion Columnist for the Washington Post, for a fascinating discussion of America’s role in the Vietnam War. For nearly 30 years, Lynn Novick has been directing and producing films about American history and culture, most recently seen in “The Vietnam War,” an immersive, 10-part, 18-hour epic, directed with Ken Burns. Alongside Alyssa Rosenberg, who launched the Washington Post’s “The American War” podcast in 2017 in conjunction with the release of the documentary, Novick will discuss the impact of the war on America, its politics, and its people; raising serious questions about the role of United States policymakers in Vietnam and providing a unique journalistic and documentarian lens through which to examine the Vietnam War.